There is nothing worse than a bland meal. It happens to the best of us. Without some key spices, our meals would be a boring bland plateful that leaves us wanting. As you will see later in this article there are some key spices you need to have on hand at all times to avoid such catastrophe. 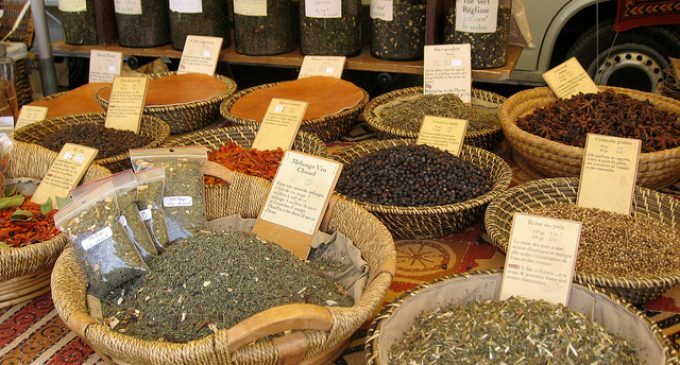 Herbs and spices are what really add delicious flavor to our meals. They may plain chicken truly amazing. They make steak mouth watering and they take soup from just okay to incredible. If we didn't have herbs and spices our food would be downright boring and probably wouldn't taste very good at all. However, there are just some herbs and spices that should be in everyone's kitchen, especially if you consider yourself a serious cook. They just make food taste even more incredible, so if you don't have them, you need to stock up right away! However, there are just some herbs and spices that should be in everyone's kitchen, especially if you consider yourself a serious cook. They just make food taste even more incredible, so if you don't have them, you need to stock up right away! Some of these spices may seem obvious but others really are unusual. When you find out what they do you'll be shocked; seriously we couldn't believe that these kinds of spices even existed!